It’s been a while since I listened to a solo album by a member of a known band (a.k.a. Jeff Loomis, Christian Münzner, Mark Tremonti, etc); even if they’re a nice showcase of their musical prowess and are guaranteed to a give you a lot of fun, in most cases they don’t stick enough with me to repeat them after a few spins. 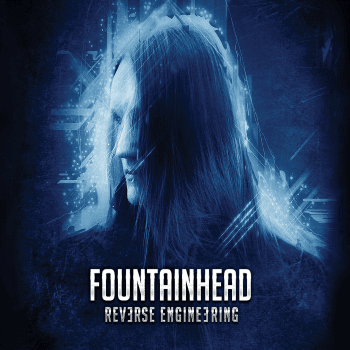 Tom “Fountainhead” Geldschläger, new member from tech-death overlords Obscura, is a refresh to my ears with his second official release “Reverse Engineering”. This is the third album I listen to this year that contains his beautiful guitar work; Akróasis came first and it blew my mind seconds after the opener “Sermon of the Seven Suns” and it’s still on my head after months of its release, while Pitts/Minnemann Project came later with its brutal display of instrumental work. Reverse Engineering is no slouch, demostrating a lot of changes within its sound in 47 minutes. Opener “999” starts off with some eastern-influenced guitars and percussions that start to get heavier after Linus Klausenitzer’s bass kicks in, followed by the beautiful insertion of a mandolin that fits perfectly for the ambience that the song gives in its first minutes. The second part of the song is basically a great solo trade-off between Linus and Tom, but what makes this track so special is the percussion done by Yatziv Caspi. “Ascension” is the “single” of this album, a nice instrumental work with jazzy interludes, keyboard sections and fretless riffs that are sure to make you rise your fist in the air; the sudden change between the eastern melody and the heavy percussion in the second part takes you by surprise as the song ends off in a majestic way. “A Perfect Union” is the first split track of this release, greeting you with a beautiful string section that starts to wax only to disappear and give way to a catchy riff before all hell breaks loose with another instrumental that goes along with an excellent audible bass line; once again, the song slows down and the strings come back in, after which an almost Vaiesque improvisation ends the track. The second part is calm and almost emotional, with only keyboards and guitar at the front and gospel-like vocals at the background; parts like this tend to be my favorite, and “A Perfect Union Pt.2” demonstrates that. Melancholy aside, a heavy riff starts the other split song “Reverse Engineering” and we get the first vocals in the album, ranging from Anselmo-like shouts to cleans. Now, while I liked the performance at Part 1, I believe they worked better on Part 2, fitting the calm atmosphere of the track; but overall, it describes the album perfectly, mixing eastern melodies, jazz, metal and orchestral parts to deliver another great release from this musician. The bonus tracks present on this release are re-works of “999”, “A Perfect Union” and a cover of King Crimson’s “Model Man”; unfortunately they don’t really match in quality to their instrumental versions, but are good nonetheless and I have to mention the great performance of Gabriel Riccio and Lotte Schüppler on “999”. Minor issues aside, “Reverse Engineering” is yet another quality progressive metal release from 2016, full of great songwriting and unique twists. I’m highly looking forward to his next release and I wish him the best of luck in his projects.